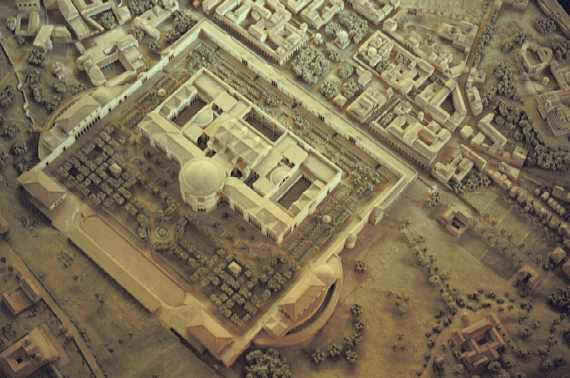 This model shows the vast gardens behind the caldarium and around the main building. You can also see the stadium and terraces for viewing the stadium spectacles located behind the gardens. 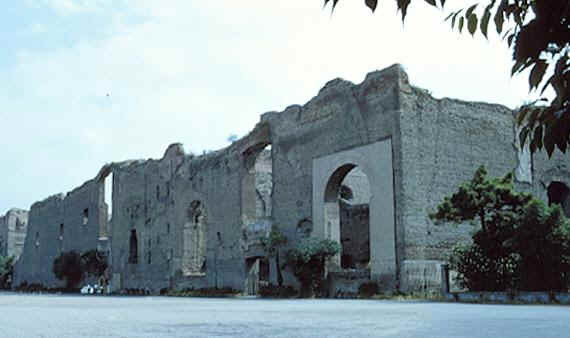 It is a shame to say, but we may never know exactly what the interior of the Baths of Caracalla looked like. Much of the archeological evidence we go by is in fragments, and some is assumed from what few remains exist. It is known and recorded that the interior was lavishly decorated with mosaics, sculptures, and decorated ceilings. Let's start by discussing the mosaics.